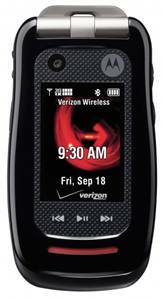 Motorola and Verizon have recently teamed up to announce a new Motorola rugged phone which named as Motorola Barrage. The rugged phone has been designed to be submersible for up to 30 minutes in one meter of water. The phone is made from chrome, glass, mesh, and rubber for protecting it against blowing rain, humidity, solar radiation, high and low temperatures, blowing dust, salt fog, altitude, shock, vibration and transit drop. The phone is being enhanced with a best-in-class Push to Talk capability for quick conversations. Waterproof when submerged in up to one meter of water for up to 30 minutes. Mil Spec certified for extra strength and protection from blowing rain, humidity, solar radiation, high and low temperatures, blowing dust, salt fog, altitude, shock, vibration and transit drop. 1170 mAH battery for extended talk time. Push to Talk features for fast, clear and reliable calls and chirps. 2.0 megapixel camera and camcorder. Dual speakers for high quality audio to cut through noise. Premium services from Verizon Wireless including VZ NavigatorSM, V CAST Music with Rhapsody and V CAST Video on Demand. Access to Verizon Wireless’ Push to Talk service that leverages the company’s Evolution-Data Optimized (EV-DO) Revision A (Rev. A) network to provide customers with fast two-way communication to get their jobs done quickly and efficiently. The Motorola Barrage is now available online at Verizon Wireless website and in business sales channels for the price of $129.99 with a new two-year service contract after a $50 mail-in rebate. However, it will be available in Verizon Wireless Communications Stores from 16 November. A non-camera version of the rugged phone is expected to be available for order on 21 October and the customers will receive the mail-in rebate in the form of a debit card.